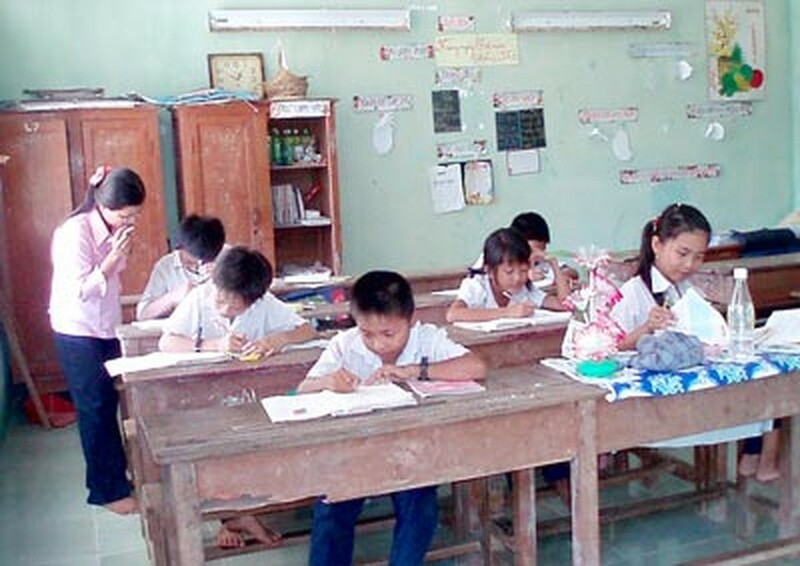 The Ho Chi Minh City Department of Education and Training said it is offering incentives to teachers who offer to work in remote areas, but they’ve got no recruits. One of the reasons is that teachers in the outskirts of the city usually quit their jobs due to low pay and poor living conditions. Teachers and students from Can Thanh High School in the rural Can Gio District live in a dormitory while teachers from the Thanh An Primary School share small rooms next to classrooms. Can Gio is 50 km from downtown, and teachers must wait for a ferry to cross Can Thanh islet where there is no internet or entertainment. Teachers there have no choice but live in dormitory blocks without any amusement. Some of them don’t have opportunity to meet partners for marriage and others can only visit their spouses and children once or twice a week while their colleagues in Binh Chanh district also drive 20km to reach school. Working far from their families, they must spend a lot on their daily lives, but they are only paid VND1,500,000 – VND2,000,000 per month, which can’t cover their private expenditures, let alone supporting their own family. That’s why the rate of single teachers in such districts is very high. In a recent investigation by the city People’s Council, inspectors tried to attribute blame for the severe shortage of teaching staff in Can Gio, but it’s a thorny issue. Primary schools had resorted to hiring junior teachers or teachers of history, geography subjects to teach subjects like physical education. Managers of these educational facilities in outskirts have tried many ways to solve the problem. They have encouraged teachers to teach in the morning and afternoon, meaning they have no free time. The schools have also signed contracts with retired teachers. An educational expert complained that the city’s suburban districts did not only encounter a lack of teachers but even experienced teachers wanted to quit their jobs or be transferred to other schools in downtown or near their homes. Experts say that this situation will be repeated and reinforced if authorities do not address the issue urgently, and work out special policies for teaching staffs who work in distant and countryside regions to ensure them a prosperous life so that they feel confident enough to perform their duty.